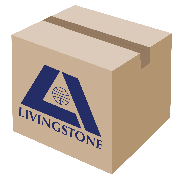 At Livingstone International we’re always looking to the future for new and exciting products that deliver quality, innovation and solutions for our wide network of customers. Our product sourcing specialists, design crew, and manufacturing teams continuously raise the bar for excellence with all our products. After 30 years we’ve grown into becoming one of Australia’s leading providers of medical and day-to-day business supplies. Today we’re proud to support businesses across more than 20 industries throughout Australia and beyond. Book an appointment today with one of our sourcing specialists.